I’m going to tell you a secret….are you ready? LEATHER NEVER GOES OUT OF STYLE. There is never going to be a day when leather (or faux leather) becomes a fashion faux pas. Granted, there are ways to make anything, (leather included) look tactless, trashy, or downright awful, but you really can’t go wrong with a good pair of leather leggings. So, what exactly makes a pair of leather leggings or pants “good”? 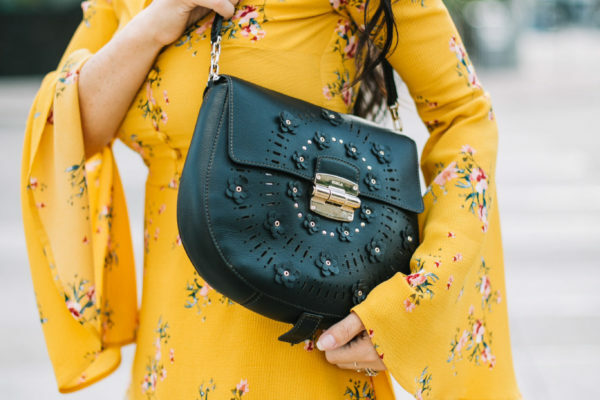 When it comes to leather, simpler is better and avoiding stylistic add-ons like laces or studded/beaded embellishments will ensure that your purchase remains timeless (although I’m all for well-placed zippers). Go for a fitted, cigarette-leg or straight-leg style that can be worn with boots or heels, and avoid leathers that look shiny; patent leather pants are a big style no-no in my book. Aside from leather’s magnificent ability to transcend trends, I adore how easily it can be dressed up or down. Keep an eye out for an upcoming post on how to style these timeless pieces for everything from errands to date night! Now, the first thing that comes to a lot of our minds is cost, right? Leather is generally pretty pricey. Perhaps you’re not into shelling out the dough for a pair of made of real leather? Maybe you’re a vegan and don’t wear leather? Fear not, the imitation leathers these days are so well made that no one will know the difference-AND they generally run at a much less scary price point. Below are my faves of the season, starting with the best pairs under $100 (some as low as $20), the pricier splurges over $100, and finally, my fav, the drool worthy pieces. Those Etoile Isabel Marant leggings are to die for. I highly recommend the Paige leggings (splurges over $100)-they are mixed media with vegan leather and a ponte stretch in the back-super comfy and chic!